Chris Tomlin, also known to his family as Christopher Dwayne Tomlin, is one of the most well known worship leaders in the world. He was born in Texas and grew up with two younger brothers Ryan & Cory. By the age of eleven Tomlin started learning the guitar and used it for fun, but as we now know, he has gone on to use that talent to amazing levels. Read More Chris Tomlin, also known to his family as Christopher Dwayne Tomlin, is one of the most well known worship leaders in the world. He was born in Texas and grew up with two younger brothers Ryan & Cory. By the age of eleven Tomlin started learning the guitar and used it for fun, but as we now know, he has gone on to use that talent to amazing levels. In the mid 90s Chris Tomlin spent time leading worship at the Dawson McAllister Youth Conferences, as well as at various camps around the state of Texas. That is where he met Louie Giglio who asked him if he would be interested in working with the Passion Conferences that Louie had set up and which Chris and Louie are still involved in today. The first album that was released by Tomlin was called 'The Noise We Make', and was released in 2001, which had the amazing tracks 'Forever', 'Be Glorified', and 'Kindness'. All of these tracks made the top 200 in the CCLI 2005 top 500 worship songs. Tomlin released the live EP '545' in 2002, and the studio album 'Not to Us' also in 2002. But it wasn't until 2004's album 'Arriving' that he become a household name around the world. Arriving had the tracks 'Indescribable', 'Holy Is the Lord', 'How Great Is Our God', and 'The Way I Was Made' which went on to impact the church hugely, and are still being sung in many churches around the world. Just one year after 'Arriving', Tomlin released his first live album, titled 'Live From Austin Music Hall', which was a collection of his previous albums in a live worship setting. What followed in 2006 was his fourth release which was called 'See the Morning'. This album has enjoyed great success and was nominated for two Grammy Awards, been certified Gold by the RIAA, and helped him win 6 Dove Awards in 2007. In 2008 Chris Tomlin went onto release his fifth studio album 'Hello Love'. Similar to his previous releases this album went on to win Dove Awards and still continues to win awards. Tomlin was also heavily involved in the Compassionart project headed up by Martin Smith. 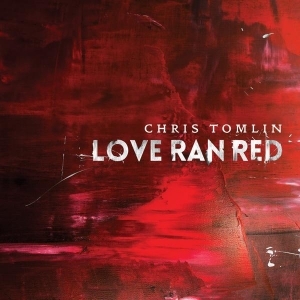 Now the Grammy award winning worship leader is releasing another studio album, 'Love Ran Red', featuring first single 'Waterfall'. 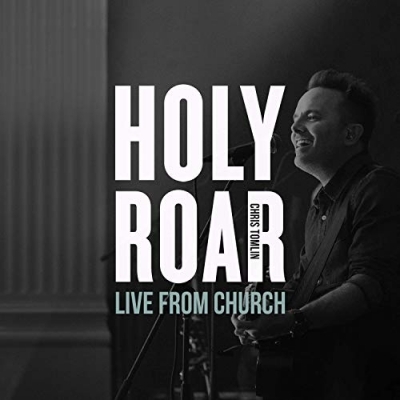 The album's title comes from the song 'At The Cross (Love Ran Red)', which featured on this year's Passion conference album 'Take It All', and was co-written by Tomlin, Ed Cash, Matt Armstrong, Matt Redman and Jonas Myrin. "It's crazy to think when this album comes out if will almost be two years since 'Burning Lights' came out, it just flies", the singer admits. "But I'm so excited about this new music. I can't wait for you to hear it." Chris Tomlin - Is He Worthy?